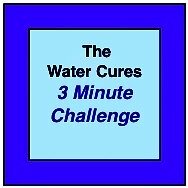 When you compare the Water Cures to salt intake from drinks common in the market place, you will be surprised at how little salt we recommend. We get quite emotional responses from some, often claiming to be doctors, when it comes to our recommending the use of salt. Below are what some have said. A certain site we asked for help to make the Water Cures site more trustworthy delivered some wonderful help on how to improve WaterCures.org. It also provided responses from some who provided what could only be termed emotional responses as they must not have been aware of the science behind the Water Cures. By snake oil and getting people killed, we wonder if he is aware of the 2007 Black Box Warning on all antidepressants pushed by the pharmaceutical companies. The warning: that they could cause suicidal symptoms? Or is this referring to the 35 FDA-Approved Prescription Drugs Pulled from the Market because they caused too many deaths or complications? Or could he be talking about the Reporting Bias in Drug Trials Submitted to the Food and Drug Administration? Or perhaps the Drug Industry’s Influence Over Research and the potential for bias? A Food and Drug Administration scientist later estimated that Avandia had been associated with 83,000 heart attacks and deaths. The outlines of the Avandia case — in which the drug’s dangers had been recognized within the company long before the FDA pulled it from retail shelves — are well known. Or perhaps, if he was in health care, he was not aware that he is part of a system that is The Third Leading Cause of Death. Spoiler alert....At one time, I was too. So, pick your snake oil....er eh, treatment. We prefer the oral version of a saline IV.....water and salt. Incidentally, the sports drinks that have salt and carbs in them also have more than we recommend. A lot more. Are they snake oil too? One issue was salt so we looked at salt intake from liquids. 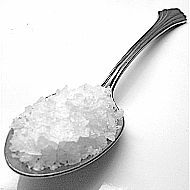 While eating too much salt is a concern, all salts are not created equal. The coarser the salt, the less you can pack into a spoon, so technically you will be getting even less than the amount that the package suggests. 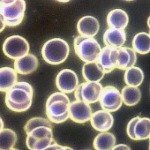 Many sites and doctors say salt is salt, it is all the same. A University of Colorado study had a different finding. Remember, sodium and salt are not the same thing. Salt makes up between 33 to 45 percent of the sodium chloride in your salt. Some salts like Makai Deep Sea Salt have 33% sodium. Table salt has about 45 percent. Then the size of the salt crystals also make a difference in the amount of sodium you get. The larger the crystals the less actual salt that fits into a spoon. Thus, you could be getting even less sodium with larger crystals. Table salt has 45 percent sodium with up to 295 mg per 1/8th tsp and up to 590 mg sodium per 1/4 tsp. We had to look at several packages to get the numbers. Celtic Sea Salt, the coarse light gray has about 460 mg sodium per 1/4 tsp. Table salt has between 500 - 590 mg per 1/4 tsp. This is the difference of up to over 300 mg per teaspoon of salt (conservatively). At Water Cures, we recommend about 1/8th tsp of the coarse salt per 16 ounces of water you drink or 230 mg of sodium per 16 ounces. How Much Salt In Your Drink vs Water Cures? The sports drinks varied in bottle sizes and serving sizes. We based the numbers on 16 ounces of fluid so you will have an apples for apples comparison. How does Water Cures compare with sports drinks and other drinks? Buttermilk has about 260 mg of sodium per 16 ounces. 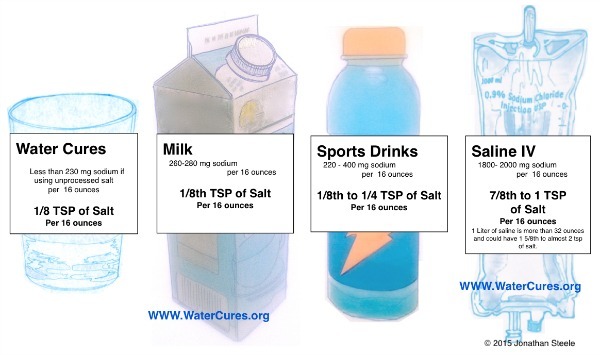 NOTE: The Water Cures protocol only recommends about 1/8th tsp of unprocessed sea salt per 16 ounces, less than in the sports drinks and way less than you would get in an IV. And unlike the various sports aid drinks, we never had Brominated vegetable oil, or BVO in the water we recommend. In Scientific American, it was stated that this ingredient has been banned in Japan and Europe, and that bromine is cited in chemical company patents as a flame retardant. 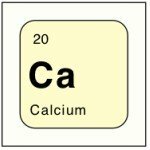 It has since been removed from some sports drinks. 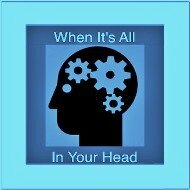 Regarding the too much salt....a doctor wrote...."I find your website absolutely untrustworthy - many of your far fetched claims about the magical effect of water and salt are not true." First, as to pushing this, we are not associated with drug companies and we are not pushing drugs, vitamins and minerals or any other products. We only hope to educate our visitors in the basic science of fluid and electrolyte maintenance. 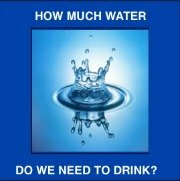 We hope to educate people on how to best hydrate their bodies. Also it should be noted that we are not anti doctor. We are sharing htis with doctors around the country and the ones who are trying it are seeing the same results we are. Some have even sent some of their patients to us. As to the doctors comments, we do not believe in magic nor do we claim anything we do is magic. He must be anti sport drink too as they have more salt and artificial things than what we recommend, just water and unprocessed salt. He raises a very important point....too much salt being dangerous. So, why is it that if you get one bag of saline IV in the hospital, you are getting about 1 5/8th to 2 teaspoons of salt. Add the processed hospital food and you are getting considerably more salt than the dietary recommendations. Yet we only promote about 5/8ths teaspoons for a 160 lb person. A 250 lb person would get 7/8ths teaspoons of salt, still far below what you would get in the hospital or the sports drinks of the same amount. Why would a doctor tell you to cut back on salt and then give you more than the dietary guidelines? What about people who are salt deficient because they have stopped adding salt but eat vegetarian diets and avoid processed foods? We believe, the low salt is far more dangerous than what this doctor suggests. 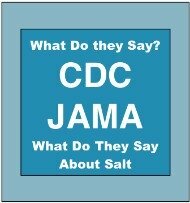 We believe that this is not a one size fits all issue either when it comes to cutting back salt. It really depends on your diet. 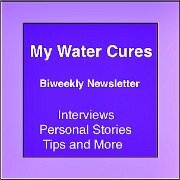 One of those who appreciates the Water Cures wrote about a friend who tried it... Her blood pressure was 178/104 while on blood pressure meds at the Drs. office. Side Note: As a coach, I have seen BP's as high as 210/110 brought down in less than 20 minutes with three doses of water and unprocessed salt. Does the good doctor mentioned above know that prolonged use of BP Drugs Linked with Significant Risks? What if there was a better way? A safer way? The comments of this doctor and others also reflect a lack of awareness of the science behind what we promote. Look at what athletes, worker and even nurses do world wide in the field of rehydration. This is basic nursing care. ORT (Oral rehydration therapy), what we call the advanced version of Water Cures has been associated with saving millions of lives. Conclusion....when it comes to Celtic Sea Salt and the Water Cures and salt intake from drinks, you are not getting too much salt with the water cures.